CINCINNATI, OH – Award-winning Artist/Poet Annie Ruth and the Cincinnati Arts Association are proud to present Dada Rafiki: The Women Gather, which will share empowering stories of inspirational women in our community through music, song, drumming, dance and spoken word. During this special evening celebration, attendees will experience a potpourri of interactive art forms. The event also serves as the kick-off for a 52-neighborhood outreach effort, promoting women’s empowerment. 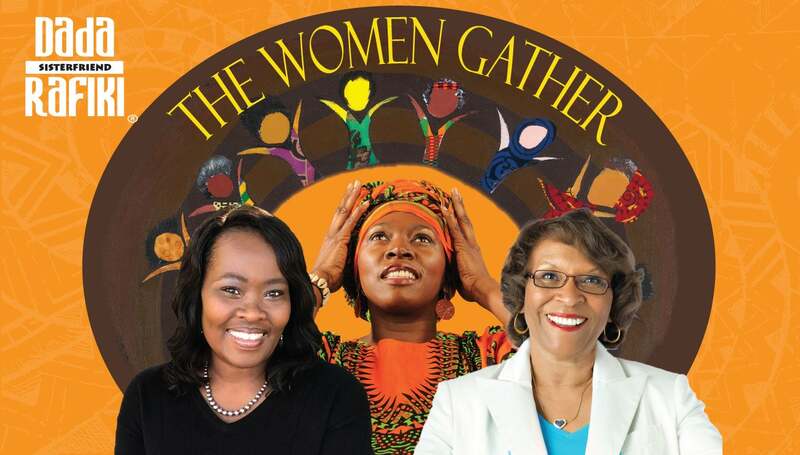 One of the most inspirational multicultural celebrations of the year, Dada Rafiki: The Women Gather will grace the Aronoff Center’s Procter & Gamble Hall on Friday, October 19 at 7:00 PM. It’s more than an event, it’s an experience! Doors open at 6:00 PM with Pre-show entertainment and promotional gifts for attendees. Tickets are $25 in advance and $40 the day of the show, and are on sale now at www.CincinnatiArts.org, (513) 621-2787 [ARTS], and the Aronoff Center Ticket Office. Group discount tickets for ten or more are available by calling (513) 977-4157. “Dada Rafiki” (pronounced DAH-Dah rah-FEE-kee), which means “sister friend” in the Kiswahili language of East Africa, promotes a shared sense of sisterhood, inclusiveness, and unity in an empowering environment of storytelling, music, dance, song, and spoken word—all honoring exceptional women in our community. Janelle S. Hocker – Nella’s Place, Inc.
Annie Ruth is an internationally-respected artist and arts educator whose work has positively impacted audiences in Europe, Africa, and throughout the United States for more than thirty years. She integrates the arts into other areas and uses innovative strategies to make the arts experience both rewarding and relevant. Annie earned a Bachelor of Arts degree from National University in San Diego, California and studied graphic design at the University of Cincinnati, College of Design Architecture and Art. She is a trailblazer who has received critical acclaim for her work in the community. She fuses her artistic talents with arts education and collaborates with major cultural institutions and museums to bring art directly to communities throughout the United States and abroad. For more information about Annie Ruth and the history of Dada Rafiki, visit www.annieruth.com and www.dadarafiki.net.